These are just a few of the insects, weeds, animals and diseases that have entered the state of California from elsewhere on the globe, causing tremendous ecological damage and huge economic losses to agricultural crops, which ultimately affect every resident of California. Based on historical data, a new invertebrate species establishes itself in California about every six weeks, on average. They don't all become serious pest problems, but many evade eradication efforts, disrupt carefully balanced integrated pest management programs, hijack sensitive ecosystems, and spoil valued recreational resources and urban landscapes. A diverse group of university scientists, federal and state government representatives, county agricultural commissioners and non-profit organization leaders who are battling these pests converged at a summit in the state capitol Jan. 11 and 12 to coordinate their efforts, pool intellectual resources, and plot a strategy for protecting agricultural crops, natural resources, unique ecological communities, cityscapes and residential neighborhoods. 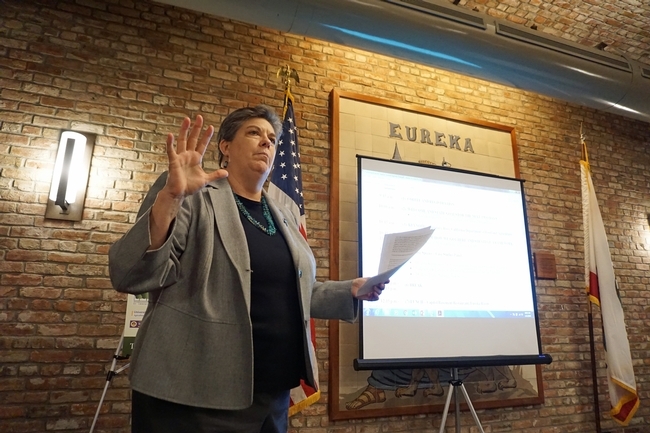 Glenda Humiston, vice president of UC Agriculture and Natural Resources, which co-sponsored the summit, outlined the goals. A fundamental component of the fight against damaging invasive species is research, Humiston said, adding that the European grapevine moth in an apt example. The pest was detected in California's wine country in 2009, and later found as far south as Fresno County. A multi-agency collaboration responded quickly. UC ANR academics studied the moth's biology, life cycle, host range and proven management practices. They developed a pest management program that relied on mating disruption with pheromones and application of carefully timed insecticides. In short order, the moth population plummeted, and the state was declared free of European grapevine moth, lifting a quarantine, enhancing farmers' ability to export its product, and preserving the communities' economic wellbeing. “This multi-agency collaboration contributed to a successful, science-based response plan to a serious pest threat,” Humiston said. She noted, however, that prevention is the best option. In 2010, CDFA created a strategic framework for addressing California's ongoing invasive pest problems and potential future introductions. Successful implementation of the framework requires partnerships involving government from the state to local levels, the agriculture industry and commodity groups, non-governmental organizations committed to the environment, and researchers at UC and other universities. UC Cooperative Extension advisor emeritus John Kabashima led a break out session on arthropods during the summit. UC Cooperative Extension advisor emeritus John Kabashima was instrumental in bringing the summit to fruition. Kabashima, who retired in 2015, continues to lead a battle against invasive shot hole borer pests in Southern California. The insects, originally from Asia, are killing thousands of Southern California trees, and have the potential to kill millions of trees in urban areas, natural areas and even on farms in parts of the state as far north as Sacramento. 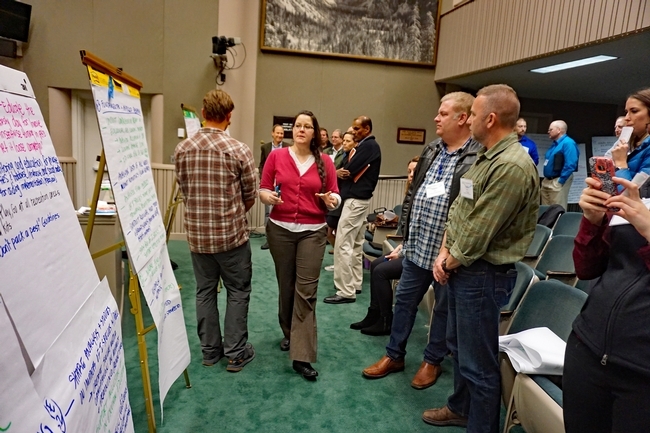 Summit participants prepare to vote on most pressing invasive species' issues and best management strategies. Develop and maintain statewide surveys and map high-risk surveys. Increase funding to study invasive species' biology. Create a standing rapid response workgroup to guide response to new invasive species. Fund a rapid response emergency fund. Enact regulations to control high-risk vectors, such as soil, green waste, gravel, forage, straw and firewood. 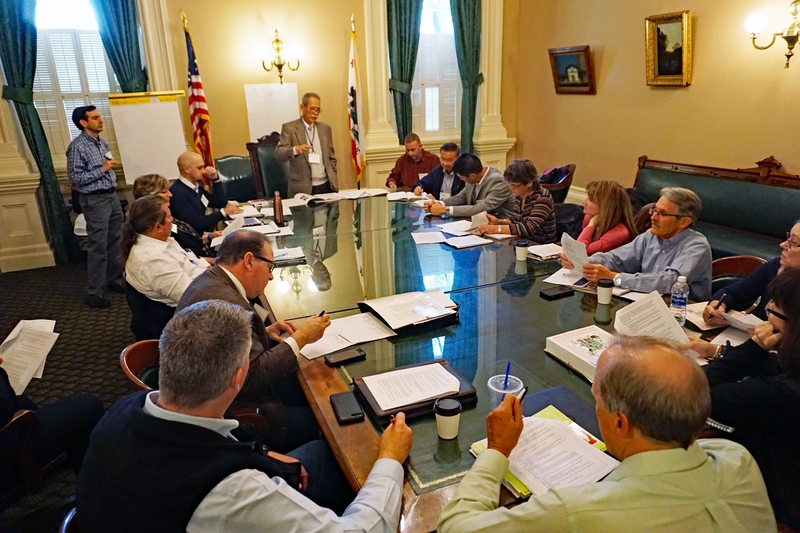 Formalize the Invasive Species Council of California (ISCC) and the California Invasive Species Advisory Committee (CISAC). Mark Hoddle, UC Cooperative Extension biological control specialist and director of the Center for Invasive Species Research at UC Riverside, said the summit was a valuable part of the ongoing battle against invasive pests. Summit outcomes will include sending recommended action items to the Legislature for funding consideration. “Without financial support, many of the management tools that prevent unwanted incursions, find and monitor incipient pest populations, and develop sustainable, cost-effective management programs won't be possible,” Hoddle said.